Do you know what you want for Valentine's Day? I don't have a clue either. So, I started searching for ideas to send the husband, and come across these fantastic finds on Etsy. You may want to add these to your list as well. Hello, coffee drinkers! 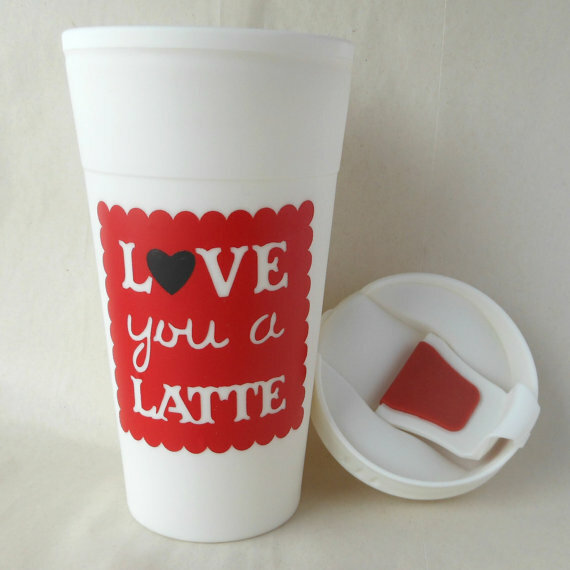 Add a reusable coffee travel mug from DeeGee Marie Gifts to your Valentine wish list. Nothing says 'I love you' like a mug full of coffee. I read the name of the lotion, and had to include it. Love Notes by Etiquette sounds amazing. If I get more love notes by wearing it, that would be awesome too. A journal is a thoughtful and special gift that you cherish for a long time. 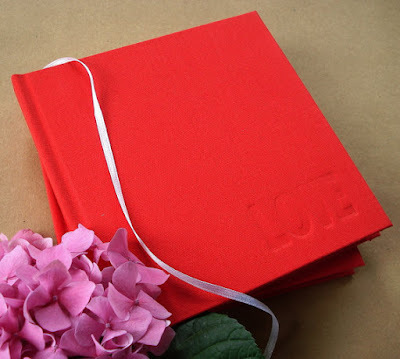 The bright red cover, and the simple lettering make this journal from Transient Books a winner. House shoes! It's winter people, and my feet are always freezing. 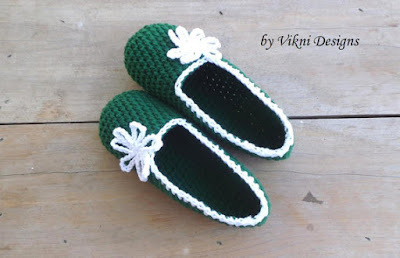 These adorable house shoes from VickniDesigns remind me of my Grandmother. 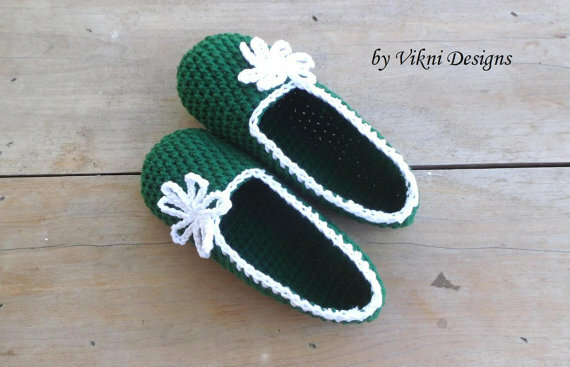 She crocheted house shoes for us when we were little. I know that's not a romantic thought, but a girl can always use another pair of comfy house shoes. I had to add jewelry to the list. 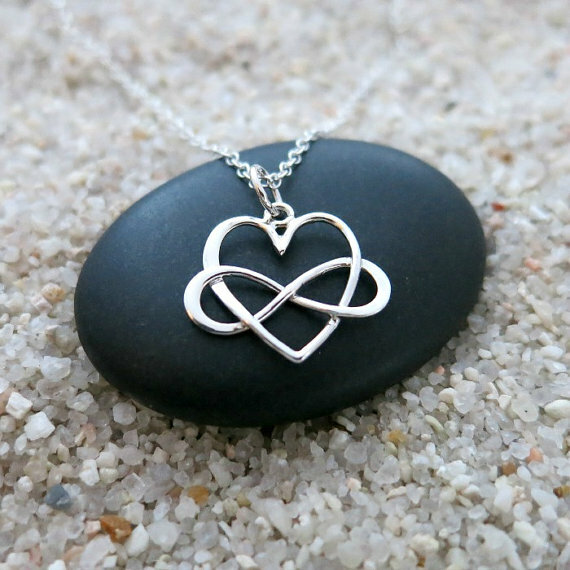 It really wouldn't be Valentine's Day without a little bling. I love the heart and infinity design by Mahalo Spirit. What wonderful suggestions! I'm so pleased to be included in your list Amanda. I can't wait to check out the others included! Happy Valentines Day! Thanks for stopping by, Dee! 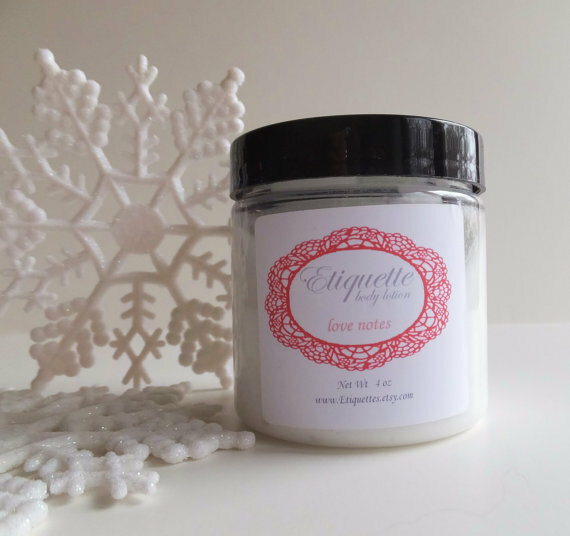 Your shop has some cute items!